Traders are often willing to give advice on a range of topics and marketing and promotion is just one of the fields that gets regular attention. Unfortunately the real world has budgets and they are usually stretched to the max but here is one idea from a trader that looks like it could fly and has the support of our management marketing team. 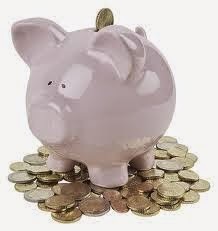 A trader has suggested a cash giveaway for customers that is financed by $1 donations from traders. 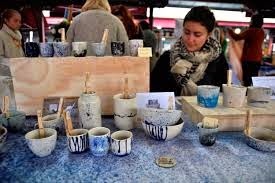 We have hundreds of traders in the market so, with full participation from traders, it won’t be difficult to rack up a few hundred dollars (up to $500 every market day) which would become a prize for a lucky customer, engender a buzz around the market, and attract extra customers. The idea is that a professional busker will hand out tickets to customers while roaming the market. 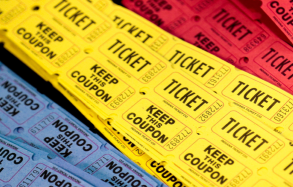 A draw will be held at 1:00pm each day, and the winning ticket announced over the PA system with unclaimed prizes jack potting to the next day’s draw. QVM will match trader’s contributions each day with a $250 voucher. Leftover contributions will go to the Royal Children’s Hospital Charity. This sounds like a great opportunity to create an extra buzz around our market. For $1 per day, traders are urged to get on board with the start on November 13th and continuing each day through to Christmas Eve. 1. Amsterdam hotel provides local shopping as part of room service. 2. Luxury fashion houses, Burberry, Mulberry, issue profit warnings. 3. Australian fashion chain, Jag, rejuvenated under new ownership. 4. Reject Shop predicts weaker sales. 5. Myer introduces Giftorium as a dedicated Christmas event program. 6. Iconic US investor, Warren Buffet, calls Tesco investment a mistake. 7. Singapore retailer’s in-store music causes a storm over immoral lyrics. 8. Auditors say Noni B in danger of closing without new owner. 9. IKEA looks to boosting online sales. 10. Investors target takeover of Reebok brand from Adidas. 11. Woolworths says it has no plans to sell Big W chain. 12. McDonalds sales fall in third quarter. 13. Toys R Us criticised for selling drug dealer doll. 14. Reebok ordered to pay $350,000 fine for misleading statements about shoe performance. 15. Aldi proposes 7 new Victorian stores following changes to commercial re-zoning laws. 16. The Federal Government has decided not to reduce or abolish the GST threshold on imported goods. 17. Tesco Chairman resigns following profit overstatement debacle. 18. Amazon stock price tumbles following disappointing quarterly results. 19. Japanese e-commerce giant, Rakuten, opens in UK. “We're back for our 17th year with all the merrymaking and summer frivolities that you could possibly hope for. Every Wednesday night until March 25 (excluding Christmas Eve & NYE), eat and drink your way around the world and discover new locally made and designed arts, crafts, clothing and accessories as well as the return of the crew behind Vintage Garage. There's also going to be more music than ever across three stages and with roving performances throughout the market. This year, the market welcomes a new champagne and oyster bar featuring Piper Hiedsieck bubbles and fresh market oysters, as well as Scott Pickett's Estelle, gourmet pies, the return of Hammer & Tong's famous Soft Shell Crab Burger, traditional pizzas from 400 Gradi. The Queen St. Wall Mural was completed by young participants from more than 50 countries who attended this year’s AIDS Conference in Melbourne. Four key messages were included in the artwork - calling for treatment for all people with HIV/AIDS, an end to punitive and discriminatory laws, a comprehensive sexual health education and for everyone affected with the disease to be loved. Queen Victoria Market's latest mural will honour the delegates who died en route to the conference. Six people bound for the international event, including top Dutch AIDS researcher Joep Lange, were on board flight MH17 when it was shot down over the Ukraine. Greyhound Racing In QVM Car Park? A tongue-in-cheek letter from one of our traders but with a serious message. I am a concerned trader (I know, you have a few of those) and I have a simple request. 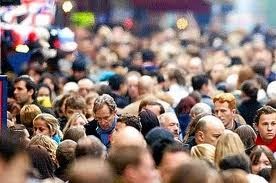 I would like you to duplicate the crowd that visited our market on Thursday 16th October. That was the day that thousands of delegates to a religious conference in Melbourne visited our market and sent our sales graphs spiralling upwards. I know that it might be difficult to organise 70,000 extra visitors to Melbourne every week but the impact of extra people was so dramatic that it deserves your attention. And I don’t really care how you get those extra people to our market. You could hold greyhound racing in the car park, parade llamas up and down Queen St or fly boomerangs up J Shed (and back). You could hold a flower show, a chess tournament, or even a music festival (there is a good idea). The Huffington Post includes, rock stars, religious ceremonies, and major sporting events in its list of sure-fire global crowd drawers. Melbourne already hosts those types of events. Seriously - whatever it takes! I do have one condition. My business, and many like it in the top end, is “modest and fragile”. That is not just a catch phrase – it is a reality. My customers marvel at my ability to set-up and pack-down every day and think I must be a very innovative and flexible operator. 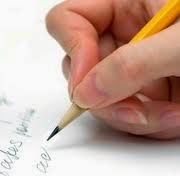 The reality is that I follow exactly the same processes every day and practice makes perfect. Even a slight change to that process requires planning. So, please give me plenty of warning if you want me to accommodate a special event and be aware of my “modest and fragile” nature. 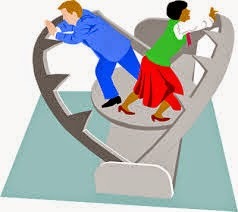 I am prepared to be flexible (particularly if you can bring a tidal wave of customers) but I need consideration. Thursday 16th was a powerful reminder. Bring us bigger crowds and a whole range of very positive impacts occur at QVM. PS – if you like the greyhound idea, can I have the bookie’s concession? 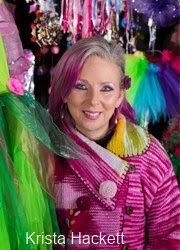 A special Christmas craft market is to be held in L shed on the three Thursdays leading up to Christmas. It is intended that the market will add a new gift-buying element to the QVM offer during the festive season. Car parking, storage, and existing stall use in RL will require some adjustment on those three special market days. Some traders in RL have historically extended their trading footprint into L shed. A meeting of traders affected by the temporary arrangement will be held on Thursday 30th October at 3:30pm at the Queen St. end of String Bean Alley. The meeting will involve management members and traders as they discuss the impact of the special market on our operations and explore what measures will be required for a smooth transition. Only traders who trade in RL shed on a Thursday need attend. 26/10/2014 21:12:54 Christmas Market "I don't mind removing my storage box or car for this Market but I do object to being told that I will loose half the stall I have been trading in for over ten years and to just deal with it In my busiest month of the year." Management have advised that between now and June 2015, any licences up for renewal will be offered a 1 year term. This measure has been introduced to allow flexibility during the renewal process. Some licences contain a three year option and these will be honoured. Essentially this will impact on renewals falling due before June 2015. The measures will be open to discussion following renewal. 09/11/2014 08:02:09 SL License "So management have decided that our businesses are not worth anything. How can anyone be expected to sell a business with only a 1 year lease with no options. Management says if we sell, we sell our business not our stalls, but with no goodwill margin in the sale, that's just unfair. In its annual global wealth report, Credit Suisse shows that Australians have the highest median wealth in the world. If you include real estate and financial assets we have over 1.25 million US dollar millionaires and for a developed nation our rate of wealth growth since 2000 has been exceptional. Australia's average wealth per adult is A$544,000 which is second only to Switzerland. But our median wealth (if you like, the middle of the pack without the influence of the very wealthy) is the highest in the world at A$258,000. Our wealth is very evenly distributed and we have a very low proportion of poor people. And just to get things into world proportion, you only have to own US$3650 in assets, including property, to be in the top half of people in the world by wealth. Property is the key to wealth for Australians with a very high proportion of home ownership. Australians on average hold 60% of their wealth in property against the world average of 46%. We are expected to remain the "lucky country" with top spot until at least 2020. We have a couple more comments to highlight including another contribution from the management team - thank you Mark. Lance's comment on short term lease renewals has been re-printed as it was posted late last week and may have been missed by some readers. An article about the short term lease decision will be posted shortly. 22/10/2014 15:54:15 Path Intelligence "Path Intelligence tells us that 15,709 more people were onsite on Thursday 16th October, versus the previous Thursday. Dwell time was also up on this day, 91 minutes, versus 74 minutes. Your representative, Ivano, has access to the report and can provide more detail if required. Thanks Mark" Mark Smith, Marketing Director QVM. Any trader wishing to sell their business will only be able to offer a 1 Year License to the buyer. I have heard this from a couple of traders and a market officer has also advised that he believes this is the case. I ask that our CEO and management team, if you could please either confirm this rumour as being true or not, and if it is TRUE please provide reasons, and if it is NOT then please provide details of what can be offered to prospective buyers. Goodwill - this is the most important part of any business sale. This is generally based on previous years sales, and the profit you have made. In most cases you can expect to pay around 1 - 2 years profit, depending on if the seller is asking for pre-tax profit or after tax net profit. Traders of an older age may remember that any reasonable size business had a tea lady (there could have been tea-men as well but industry was not so enlightened back then). The Tea Lady would push a trolley around each work area at a set time each morning and afternoon and dispense cups of tea from an urn. The arrival of the Tea Lady was a great excuse to down pens or tools and head over to the urn for a cuppa and a chat. And of course this seemingly innocent get together was in fact an incredibly important part of the information technology of that age. Not only did the tea lady get to hear, and join in, the discussions at that work area but she had been privy to the discussions at the previous work areas as well. Her knowledge of daily news became a key ingredient in informing employees of what was happening in their neighbourhood. Businesses soon found that Tea Ladies could be dispensed with and replaced with tea and coffee machines that provided no information at all. Financially that was probably a smart move. Workers got back to work quicker and a wage was saved. At the risk of being called old fashioned I contend that industry lost a whole lot more than it gained. But back to Guru Pete. Our Pete performs an essential task around QVM as one of our cleaning staff and, as productive as he is (I don’t want his bosses to think he ever deviates from his assigned tasks), Pete is able to provide his own brand of information technology. 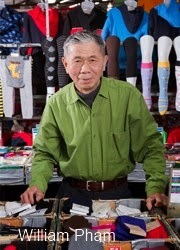 How often do you hear traders say “What is happening Pete?” Pete knows what is happening around the place as he works from one end of the market to the other and his contribution is certainly more than just the sum of his cleaning tasks. We could call him an extremely important cog in the machinery that keeps our market operating (and informed). If he could just make a cup of tea I would be really happy. Visitors to Canberra’s annual flower festival, Floriade, have embraced free wi-fi in an un-precendented way. Social media promotion by the visitors has created an ever-growing online audience as amateur photographers and flower-lovers showcase their experience using free wi-fi. 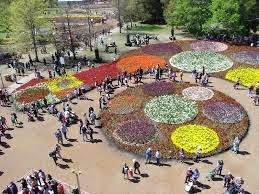 It is believed that the wi-fi facility has enhanced Floriade and Canberra as great Australian tourist destinations and is a lesson in how to promote facilities in a cost effective way. QVM would be a prime candidate for free wi-fi. A number of Specialty Traders have claimed that Thursday 16th October was their single best trading day in the last 12 months – better than Christmas and better than Easter. The reason for the dramatic sales boost can be put down to thousands of delegates to the International Convention of Jehovah’s Witnesses who visited our market. Thursday was a pre-registration day at Etihad Stadium with the convention starting in earnest on the Friday. With over 75,000 delegates attending the conference, the impact on our market was substantial and some newer traders said they now understood what references to the “good old days” really means. The unmistakeable “buzz! !” of a busy market occurred on Thursday and it has left traders wondering how we can repeat the experience. The experience also begs the question of whether we should be more flexible in our trading arrangements. Whilst Thursday was ideal for conference delegates to visit our market with a day off, the three actual conference days (Friday, Saturday, and Sunday) saw the delegates locked in Etihad Stadium until the close at 4:55 pm. By the time the 75,000 potential shoppers were free to move around we had packed our stalls and headed for home. Is it practicable for us to consider extended trading (to say 8:00pm) on these occasions? Should we have considered a special Monday market day? As one trader said – “It breaks my heart to say so much trading opportunity go down the drain”. 19/10/2014 22:23:02 Jehovah Week "Great to hear a few stallholders had a great Thursday,and if that was their best day of the year it really doesnt say much for the other 51 Thursdays of the year. A great news story and you go and ruin it by being a realist! Only joking - you are quite correct - we are looking for sustainable improvements to business and it is going to be a long hard road to achieve that. But targeting this sort of event and being a bit more flexible with our trading arrangements may be a good start - Ed. New Convener For QVMAC Representatives. Greg Smith has resigned as Convener of the 10 QVMAC Trader Representatives to concentrate on other trader matters. Stephen McLennan has been good enough to nominate for the role and has commenced immediately. Essentially Stephen will co-ordinate meetings between QVMAC Trader Representatives and management, and be the distributor of communications to ensure your Representatives are fully informed on relevant market issues. 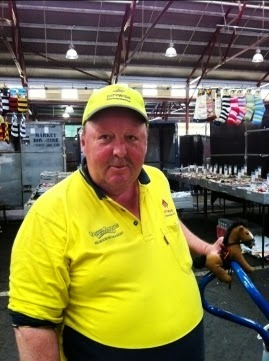 Cruise ships can be an important source of customers for The Queen Victoria Market. There will be around 80 cruise ship visits to Melbourne between now and the end of March 2015. The next market day arrival will be next Friday 24th October when the “Celebrity Century” docks at Outer West Station Pier followed by the “Oosterdam” on Sunday 26th October. 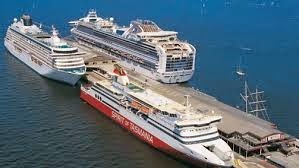 The full visit schedule is available here – Cruise ShipSchedule Melbourne. Actually we have three trader comments and, in a first for the trader's website, a comment from our CEO. Thank you to all for their contribution. 27/09/2014 16:35:15 Music week "My question is - We have been lead to believe that there will be displays and music going on all week but today I was told that it's only operating for 18 hours that match the times the market is open, so for all the disruption and the fact that the Market is moving 50-60 stalls of mostly traders who have been operating for many year in the same position at a time of year that represents the start of the X-mas trading and spring racing carnival, it seems a little short sighted and unfair. I'm all for trying something new but it must be a benefit to the Market, cause at the end of the day we are a retail space not a event space." 12/10/2014 20:10:15 Commendations "Hearty congratulations to all those commended. You do the Market proud. Best wishes for a long and successful career at QVM." Jan Cochrane-Harry. CEO. 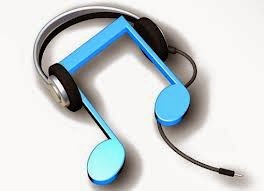 13/10/2014 17:09:55 Adversarial Approach By Traders May Have A Price "You say that the Music week has had a reasonable conclusion for traders...... I beg to differ..... A number of traders are not happy with the outcome at all. Being told you will move from your stall of 20 years......to a much smaller stall with no compensation is not a reasonable outcome all. I am affected 2 days a week, and have 4 stalls which is a lot larger than 4 x 4 meters, but l am being told that this is all l am offered. I am now told that it is preferable that my stall in the marque be open on both sides to allow customers to walk through from the H & I shed side to get to the traders on the shop side. I have also been advised that if l take this marque stall, that l must give up half of my 4 stalls the other 3 days of the week. So l loose half of my 3 non effected trading days, and have a much smaller location the other 2 days. All in all l loose out on stall room everyday of trading. This means how do l display all my products, on a much smaller location, than l currently have. It also means that l need to employ someone to help over these 2 weeks, as l can not run both locations on my own, or with just a single person on both, so 2 employees will be required....... But hey no compensation is required because this music festival will bring 30,000 people to our great market, over 10 days (thats right 3,000 per day, including days we are closed), generally after we have actually closed on most of the days, except the weekends. Yep, a great reasonable outcome for US the traders who have made this market what it is, and are the market...... tarts right we are the QUEEN VICTORIA MARKET..... MARKET not events centre..... we have several locations around Melbourne for events, why not use them, and allow us to continue to run our business, and make a living..... Unless the QVM management if we close and take the 2 weeks off, we do not have an income.....if they take the 2 weeks off, they have holiday pay, plus leave loading, so they don't notice any change to their lives...... If they want the music festival it should work with us traders not against us traders. The entrance is on Peel Street, so we don't even have the people walking through the sheds to get to the entrance.....The market is about the traders, we should not be moved for an event, the event should be worked around us, and allow us to work as normal..... But hey we are just a bunch of crappy $2 stores selling made in china rubbish, according to our lord mayor, so what do we matter." It would appear that your 4 stalls spot has created a "perfect storm" for trader inconvenienceand perhaps your circumstances need to be looked at again. I am sure your QVMAC Trader Representative would be happy to review with management. - Ed. (Incidentally, I know the Lord Mayor hasn't been exactly complimentary about General Merchandise in the past but this week's "crappy $2 stores" comment was made by John Faine on ABC radio, not the Lord Mayor). The Productivity Commission has issued a report showing that the costs of running retail businesses in Australia are higher than in either the UK or US. The report says that costs are driven primarily by geography, markets and certain commercial decisions. It added that government restrictions have contributed to costs. 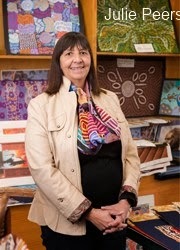 “As was the case in 2011 when the Commission undertook an extensive inquiry into the economic structure and performance of the Australian retail industry, retailers continue to operate under several regulatory regimes that unnecessarily inflate their costs and restrict their ability to innovate,” the Commission states. What Plans For Munro’s Corner? There has been little time for City of Melbourne to plan what might take place at the newly purchased Munro’s Corner site. In a very exciting move the CoM has purchased the site adjacent to QVM from its owners, the Munro Family, and will now need to decide on how it will be used. The 6,500 square metre parcel of land only came on the market a few months back but we have been able to glean some idea of what the city has in mind. First and foremost the Lord Mayor has stated he will be seeking input from traders on how the Therry St. property might be integrated into the market precinct. On radio this week he talked about activities that would be market oriented including the likelihood of a retail precinct with restaurants that procured their fresh food from the market. He also talked about the opportunity to position a car park on the site and avoid the disruption and expense of an underground car park under A, B, and C sheds. However, the discussion this week has been around a 400 space car park which is less than half what traders consider necessary so there is more work to be done on that subject. The Lord Mayor has previously said that there would be no less than the current number of car park spaces (around 800) so we will need to find out where the other spaces might be located. A QVMAC meeting will discuss that subject next Tuesday. The Lord Mayor also talked about low-income or worker housing on the site which would certainly be consistent with the markets role as a community hub. The Age has reported plans for a walkway linking Franklin and Therry Streets, and the restoration of the Mercat Cross Hotel. The opportunity to link QVM renewal with the development of such a strategically located development site offers exciting prospects for our market. We look forward to hearing more over coming weeks and in the meantime suggest traders take up the Lord Mayor’s offer – How do traders think the Munro site could be integrated successfully into a market precinct? What facilities should it have? 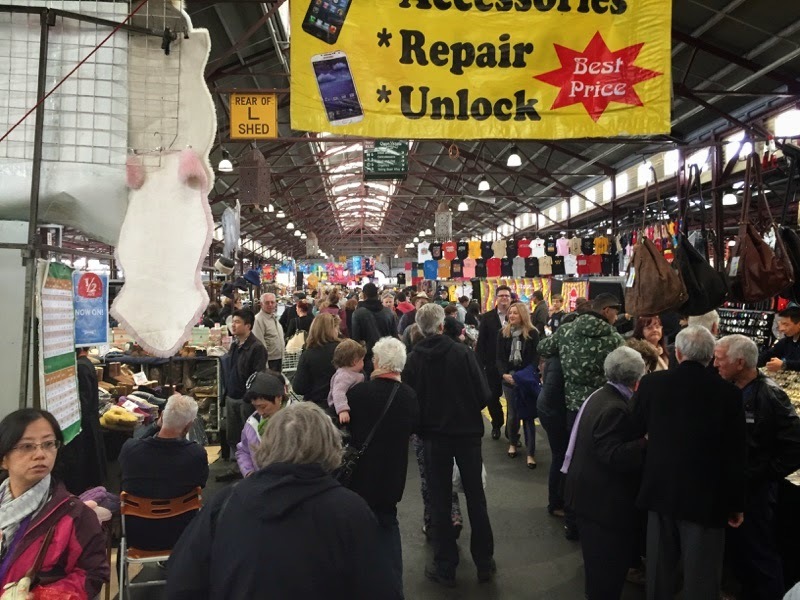 What role should such a site play as part of one of the world’s great Public Markets? 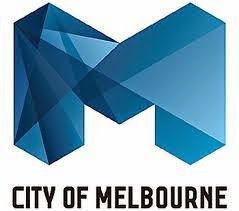 The City of Melbourne is conducting a special Christmas promotion to bring shoppers to its municipality including Queen Victoria Market. 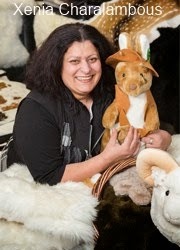 It is looking for inspiring products, promotions and events to draw shoppers to Melbourne and is particularly looking for products unique to the city including handmade, sustainable or Melbourne-made products. - Christmas gift and event guides distributed across metro Melbourne. - Print and online advertising. - Social media activities on Facebook and Twitter. - The CoM “What’s On” website which gets 12,000 visitors per day. We understand that the Munro Family completed negotiations to sell their parcel of land on the corner of Therry and Queen Streets to the City of Melbourne despite receiving higher bids from other developers. Councillor Stephen Mayne has praised the family for putting the council, the traders, and the community ahead of a few million dollars. An international conference of Jehovah Witnesses is expected to break attendance records at Etihad Stadium this weekend with up to 75,000 delegates attending. Traders reported huge crowds on Thursday at QVM with one trader describing our market as a meeting place for delegates with all the ingredients of a community hub. 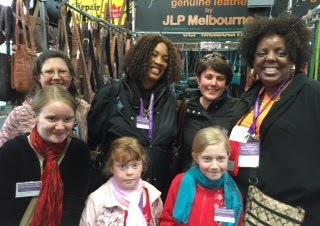 The photo on the right shows delegates from Tasmania and Pennsylvania getting together at a trader's stall. The conference marks the centenary of an important event on the Jehovah's Witnesses calendar as Melbourne's 11,000 devotees are joined by delegates from all over the world. The event goes for three days, Friday, Saturday, Sunday, and is expected to add $50m to Victoria's economy. We are not sure how much free time delegates will have once the conference gets into full swing on Friday but hopefully many will find time to visit us over the weekend. Once again we need to ask how appropriate it is for our market to close mid-afternoon when crowds like this will be looking for entertainment after their conference closes each day. Lord Mayor, Robert Doyle, has announced that the City of Melbourne has purchased the parcel of land adjacent to QVM, known as Munro’s Corner. On ABC Radio’s John Faine program this morning, the Lord Mayor said the purchase would enable CoM to dictate the conditions around the market. It would enable the enhancement of a “high functioning market precinct” conducive to the operation of the current market with things like restaurants using market produce. work. The site could be used for a variety of purposes including an underground car park, accommodation, and general retailing. QVM Traders Inc President, Kon Kadaras, phoned in to describe the purchase as a “very positive move”. 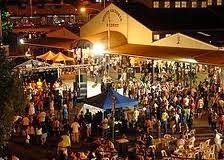 Kon asked the Lord Mayor if there were any plans to change the sheds A-M in the top end of the market to which the Lord Mayor replied “the sheds will be retained”. He further added that CoM would aim to double or triple the volume of sales at the market by creating a “great gathering point” and a “hugely successful commercial venture”. Traders can expect to see lots of press and more detail over the next 24 hours. A traders meeting held in the Food Court on Thursday heard from QVMAC Trader Representatives and QVM Management in relation to the Melbourne Music Week event commencing mid November. Much of what was reported at the traders meeting in J shed back in September was repeated at this week’s meeting with more detail on the nature of the marquee to be assembled in Therry St. as well as some results from the trader preference applications for those traders who are being relocated. A couple of resolutions were presented by traders and these will be published on Victraders once the draft minutes have been approved. 1. Mirvac to buy Sydney’s Birkenhead Shopping Centre. 2. Plans By Coles & Woolworths to roll out smaller CBD outlets worries convenience association. 3. Aldi to ramp up presence in WA and SA. 4. Owner of KFC Pizza Hut etc. shows third quarter profit rise. 5. Lorna Jane cancels plans for sale of business. 6. Giant US Homewares chain, Williams Sonoma opening in Melbourne. 7. Rip Curl profit rises with Asia US expansion. 8. McDonalds plans new gourmet burger service. Last Thursday’s Trader’s meeting was seen as uncomfortably adversarial by a number of traders. The meeting was attended by management and involved a presentation on the upcoming Music Week Event. Traders seeking to make their point about any issue at QVM need to carefully tread the line between reasoned argument and grandstanding if they are to achieve the maximum response from negotiations. A “them and us” approach probably has little point here and yet a number of traders continue to pursue that course. There is a lot traders want from management and fortunately the signs for effective negotiations are quite good as two recent issues have shown. The single day absences for SL License holders and the options sorted out for the Music Week Event have both reached a reasonable conclusion. One item on the trader’s wish list is for QVM to collect subsidies for the Traders Association. Those subsidies will allow the employment of an executive Officer/Negotiator to handle our affairs in a more professional way than is possible with part time representatives. QVM are not obliged to collect subsidies but if we can show that a professional traders association will oil the wheels and benefit both parties we may get their approval. If on the other hand we show our association as being unreasonably adversarial we may not. A Traders Association that doesn’t show professional intent may be severely restricted in its operation. The official launch video for Melbourne Music Week has been released and below that video we show the 2012 event video which might help us understand the format and the variety of music on display. 12/10/2014 20:10:15. Commendations. "Hearty congratulations to all those commended. You do the Market proud. Best wishes for a long and successful career at QVM". Jan Cochrane-Harry. CEO. Small business people don’t really like uncertainty in their lives and renewal at QVM is bringing plenty of change. Articles like this one are designed to highlight some of the more positive aspects of the future. Publicity about QVM renewal earlier this year contained dialogue around “expansion” of our market. 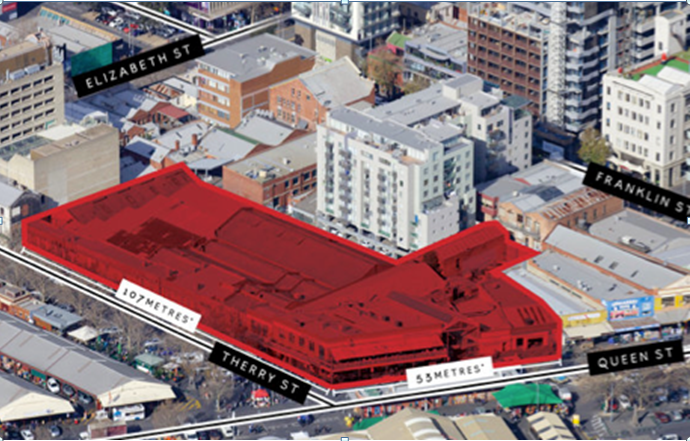 Back in October 2013 the Lord Mayor talked about “an expanded market precinct”. In April this year QVM talked about an “expanded retail offer”. Given that QVM renewal involves giving up a small parcel of land at the southern end of the site the expansion aspect needs more explanation and the answer lays in better use of our current facilities, in particular, introducing attractive trading opportunities when the market is not currently operating. 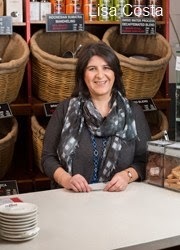 Back in August we published an article about re-invigorating trading hours (http://www.victraders.com/2014/08/new-trading-hours-back-on-agenda.html). There has been much discussion about the market trading over 7 days and for longer hours each day. Obviously it is not intended that every trader would trade all those hours but that the market would operate in different ways at different times. In other words QVM could become a series of markets within a market. In the top end of QVM there has been discussion about the repetition of the offer – too many stalls selling the same thing, and each aisle looking the same as the previous one. That is a perception that has to be addressed. In the current staging of one to one interviews traders are encouraged to talk about their aspirations for the future, and how they might take opportunities to improve their businesses. Opening up the dialogue, the potential, and the opportunities, will require thinking outside the square by both management and traders. There is no reason why every current trader cannot be part of a renewed market that brings with it lots of new opportunities. Renewal is not a threat, it is an opportunity. Do We Have Enough Food Outlets At QVM? The changes in retailing are quite bewildering and while we search passionately for the reasons (because they impact so directly on business levels) some trends are becoming clear. 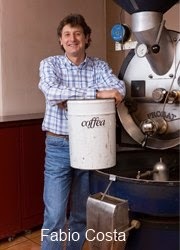 One of those trends is a growing cafe culture and it has implications for QVM. Real estate commentators talk about "location, location, location" and in the past that has related to things like schools and public transport but as families and work/leisure activities change the location of cafés and restaurants become more critical in buyer's choices. "Walkability" has become the new buzzword in property circles. There is even a website called walkscore.com which measures the number if desirable locations within walking distance of your location. Saturday and Sunday breakfast outings are becoming more and more common as lifestyles change and the typical family becomes smaller, more attracted to apartment living and "getting out" becomes less about a walk in the suburban garden and more about a trip to the local cafe. What implications does all this have for QVM? Traders have often questioned the apparent proliferation of ready to go food outlets at the market. F shed has been transformed from a general merchandise aisle to a food aisle over recent years. Do we really need all these food outlets? Well, the answer probably lays in the success of the Night Markets built largely on creative food outlets and the associated entertainment. And the opportunities would appear to be enormous. Imagine our finest fresh food in the F&V, meat, fish, and deli areas being served up in cafés and restaurants all within the perimeters of the QVM site. 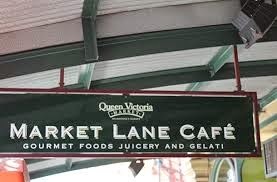 Melbourne is becoming a city of apartments, no more so than around our own Queen Victoria Market. With some 3,000 apartments being built per year the increasing supply of apartment dwellers looking for food is likely to be significant. In a sense, increasing the food component at QVM adds to the competitive strain on many other trader categories. After all, it is just another form of discretionary spending. However, if we can generate bigger crowds at QVM by meeting the needs of more and more customers then logic suggests all participants at the market will benefit. Dare we say - this is all food for thought? 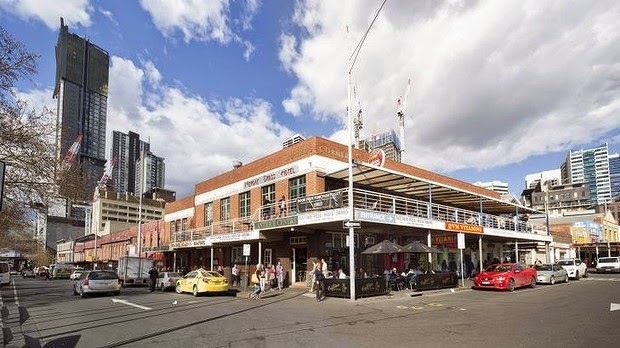 There has been much publicity this week about Munro's corner being put on the market and the potential for this property to become the site for QVM's car park. Its proximity to the market and the potential for offsite construction make this an enticing option under certain conditions. The disruption that would be caused by an underground car park under A, B, and C sheds (QVM's original preference) has been clearly identified but as a trader pointed out this week "At least it would be under QVM control". This is a valid point because, even QVM's free parking concessions (which many traders consider inadequate) are unlikely to be seen under a totally privately owned car park. City car parks are big money earners and private owners are not going to give shopper discounts just to improve business for traders. 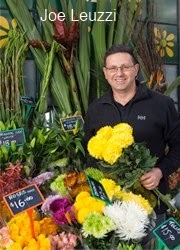 Peter Langtry’s proposal (http://www.victraders.com/2014/10/council-and-vic-market-traders-unite.html) suggested planning controls or City of Melbourne ownership to handle the control issue. It is certainly an attractive option. There are probably a number ways of linking the site's use with the interests of the market but if Munro's site does go solely to private developers then the likelihood of customer friendly parking rates is probably very small - maybe short term, but not long term. Traders, particularly food traders, consider that our car park is part of the essential life-blood of the market. Can that life-blood be protected with a car park outside of QVM or CoM control? Council and Vic Market Traders Unite! The following article has been presented by trader Catherine Underhill from McIvors Tea and Coffee Merchants. 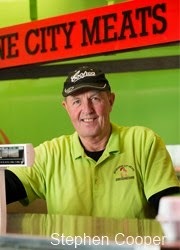 "Council and Vic Market Traders Unite! I never thought I would have that as my headline. Over the last couple of weeks I have spent a fair amount of time writing to the planning minister Matthew Guy and Melbourne City Council about the land for sale on Therry St. The article contains a link to a document Council has prepared around their vision for the future development of the site. The re-development proposal put forward earlier in the year which includes (most contentiously) the demolition and rebuild of A, B, and C sheds, would no longer be necessary. While I can understand why management felt this was the only and best option it clearly had no support from traders or customers. This is hardly a great place to start a huge project. The fact that Council wants to purchase this land is by no means a guarantee that it will happen. And planning guidelines or overlays are no guarantee either. You see, with planning all a developer has to do to shift responsibility for approval from Council to State is to put in a proposal that is larger than 25,000 sq. mtrs. That is about a 6 story building on the site. No one will propose that for a site that will cost in excess of 60 million. Write to council in support of the plan. It doesn’t have to be fancy. Just a simple message of support is fine. Tell all of your friends, customers, family, whoever to do the same. A copy of the proposal that I sent to Council and The Minister is below. I must acknowledge that the main driver of these ideas is Peter Langtry from the Polish Deli. As you can see this is a sizable parcel of land:6,462sq with a combined street frontage of 162m. Amazing. This represents an extra ordinary opportunity for the City of Melbourne to radically alter the market precinct in a positive way, without being hamstrung by graveyards, space limitations and heritage. Earlier this year a proposal was put forward to the people of Melbourne regarding refurbishment of the QVM. It involves some positives – green space – and a massive negative. The idea is to dig up A, B, and C sheds and put in a 712(?) space car park. Theoretically like for like, but when you factor in the sale of land at the southern end of the market and the on street parking lost to that development the proposal is woefully inadequate. Furthermore the disruption will have long term deleterious affect on the viability of the market. Customers lost often don’t come back. Tourists attending a market only populated by tourists soon leave. And spread the word. The availability of the property on Therry St changes all that. My dream for that site: A parking lot able to cope with peak demand. Street level retail, and residential above – but stepped back so as not to overshadow. How about if the walls of the parking lot were green walls – not ugly car park walls? How about if the parking lot was designed so that it could be retro-fitted to residential so that when the day comes that we actually embrace public transport we can re-purpose the space. 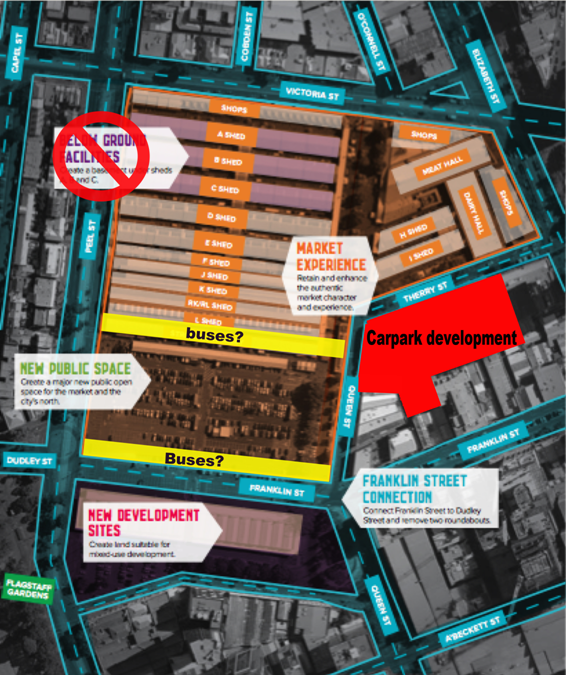 To that end how about a central bus hub either at the new Franklin St end of the Market. Or maybe it should be between the sheds and the new green space over the graveyard, replacing the current less than beautiful car park. The availability of this land means we can invest for the next 100 years not just pull together a sub-standard option that has no support among traders or customers. We need to bring everyone with us to make it work. We need to think what will provide for our descendants. That is what the original founders did, at great expense and with a lot of forethought. It doesn’t matter how we get there, whether by legislation or by the City of Melbourne buying the land. We just need to get there. Council purchase is probably the best option. After all, that is why we still have a market. "